I find it intriguing that blogging has such a cathartic effect for me. There are many times that writing serves as an opportunity for me to organize thoughts, express frustrations, and admit to failures (or at least challenges) — an electronic confessional, if you will. We are into our eighth week of the school year, and I really seem to be struggling to maintain my balance…to get into a groove. There are several district initiatives (like a new teacher evaluation system) that have undoubtedly added to the normal stresses and strains of a new school year, but I honestly try to take all of that in stride. As I have struggled to identify a cause, and right the ship, I have come to the conclusion that something is awry with my filter. As much as I want to be working with the “big rocks” — those things that have a clear and substantial impact on the well-being of our staff and students — it seems like my day’s are spent removing the “gravel” that is choking the gears of progress. It is frustrating. Sometimes it is a piece of paperwork. Sometimes an e-mail, or a request for information. And honestly, sometimes it is my perception and attitude. I honestly believe that all other efforts to improve schools, and foster an effective learning environment, will falter if the relationship piece is not in place. This means fostering strong connections with (and among) staff members, students, and everyone involved in the school community. It requires school leaders to provide a high level of support, and appreciation, for the efforts of those with whom we work. It means acknowledging the value that each person (student and adult) brings to the table, and sometimes it means taking the extra time to seek out the small successes as a platform for greater things. 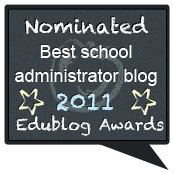 As a principal, I am an educator – not a manager. My instructional role has changed, but it is every bit as important as when I was in the classroom. If I do not take my role as an instructional leader serious, and give it the time and attention it deserves, my staff and students will suffer. This does not mean that I need to know everything, but I am the person who must provide support and resources to my staff, and do my best to guard their opportunities for development and collaboration. Growth and development in the area of instructional practice must be a constant priority. One reason I truly value my professional learning network is that I am never given the luxury of believing that I have “arrived.” I am constantly pushed to keep up on professional learning, collaborate with others and try new things…thus modeling the process of life-long learning. As it should be. Abraham Lincoln is credited with saying: “All my life I have tried to pluck a thistle and plant a flower wherever the flower would grow in thought and mind.” I believe that quote is indicative of the attitude and effort that is required of school leaders as we work to foster a climate and environment that encourages creativity and innovation, on the part of both students and staff. We can not always control what is going on around us, but we must be vigilant to guard against the negativity that can quickly spread and infect an entire campus. School leaders must model an optimistic mentality — constantly replacing thistles with flowers. Without a doubt, I have invested more time in my work since becoming a principal, than at any other time in my educational career. I am hopeful that no one would ever question my passion for the profession, or my commitment to our school community. However, I am quickly realizing that there is simply not enough time to do everything (thus the importance of having a good filter and separating the gravel from the big rocks). In fact, if I am consistently spending inordinate amounts of time and expending an unsustainable degree of energy, I am probably not doing anyone any favors. Not only will it take a toll on my enthusiasm, it sets an unreasonable precedent for those with whom I work. Balance is important. I need to do a better job of putting those words into action. What are your big rocks for the upcoming school year? What do plan on doing to filter what is important from what is not. « Are You a Steward of Time? I have been using the Goethe quote for several years now in my conference presentations and in my writings. It is so relevant. We are bombarded daily, in our schools, with things that appear important but really are not the things that will make our schools great. I’m happy to share an article I wrote entitled, “I’m in the Principal’s Seat, Now What? Five Things You Can Do Tomorrow To Create An Exemplary School. I think it talks about what really matters. 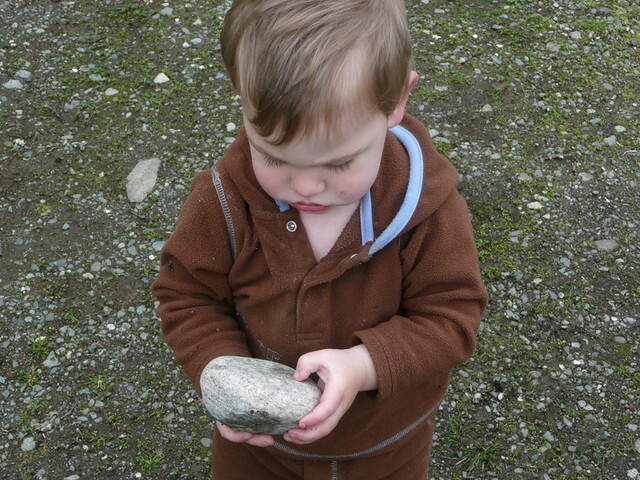 As a student in the education department I can relate with the trouble of being able to effectively separate the “big rocks” from the “pebbles”. It takes so much time to thoroughly complete each and every assignment for my classes that I put everything else on the back burner. Fortunately, the only other priority I have is my job so I am not quite as stressed as you must be. I love to see a principal work so hard at improving their school like you. Thank you for all of your hard work.